India, India , India, India…..!!! This is what you usually hear when India plays a cricket match against any team. And, when it is the World Cup…and that too, semi finals…oh my god….you can imagine what happens. Such was the scene at our office. All eyes were glued to the huge TV screen at the reception area of all the floors (4th floor, 7th floor and 8th floor) since morning. Australia won the toss and decided to bat…it was a bit disappointing…but nobody lost hope. There were all the more reasons to watch each ball, to support the Indian team and, somehow, see the country win. Each time we bowled, there was someone shouting, “Yes, Wicket!”, hoping that Australia loses wickets soon. 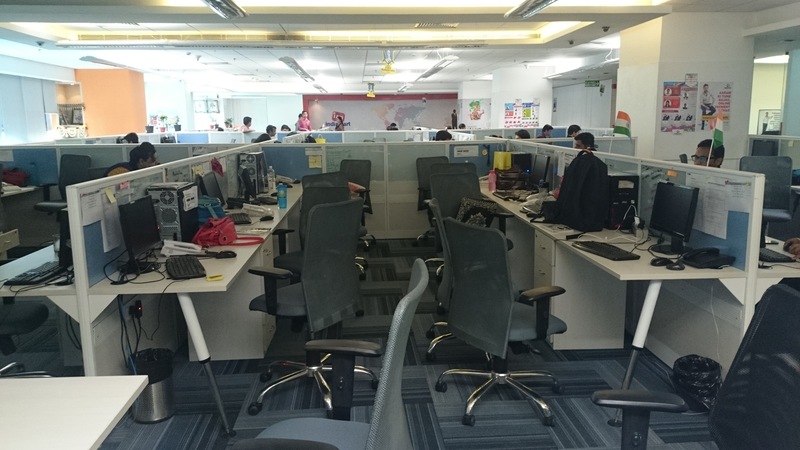 So many employees were wearing blue T-shirts. This damn cricket fever is amazing, seriously! It looked more like a festival being celebrated in office. Australia – 328. Not a bad score! Big target for India. 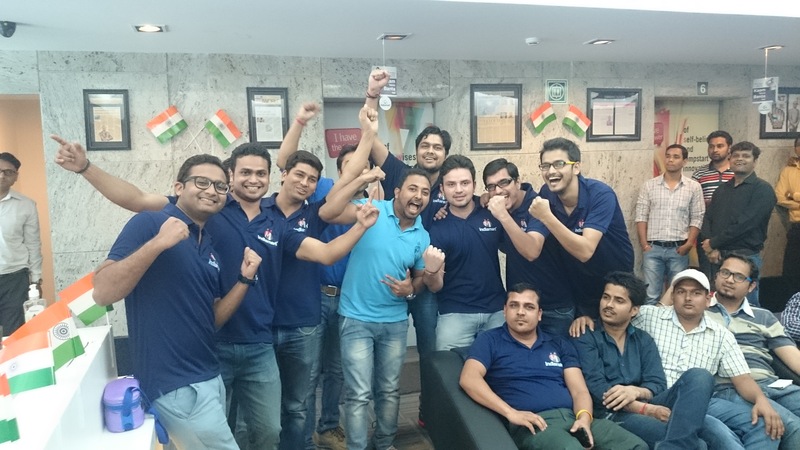 IndiaMART team was in full swing. It was our time to bat. And the number of people watching the match at the reception area started increasing. Phew, it is supposed to be a working day! But, it didn’t look like. Where are the people? The “oohs” and “aahs” were echoing across the floor as people cheered for the opening pair who anchored the innings. Some funny stuff was happening around! It was like a dozen Harsha Bhogles discussing match strategies, and talking about how the batsmen could improve their techniques. The other clan constituted of match makers (not what IndiaMART does) but shouting “Bhabhi Bhabhi” everytime Anushka Sharma appeared on screen. Some people were even recalling their math tables and calculating the run rates required. This match showed a different side of many individuals supporting the men in blue. But with wickets tumbling at regular intervals, the hope was fading away, and so were the smiles on everyone’s faces, as the chances of winning were pretty dismal. Unfortunately, India lost the match. The noises dimmed, the energies dropped, the zeal disappeared. Only if we could get one more chance. But then, life does not give so many chances. Wish it was just a bad dream! But, one thing is for sure. The way each and every citizen of the country displays the positive spirit of being an Indian at this time and displays the urge to win during such crucial games is something worth saluting. 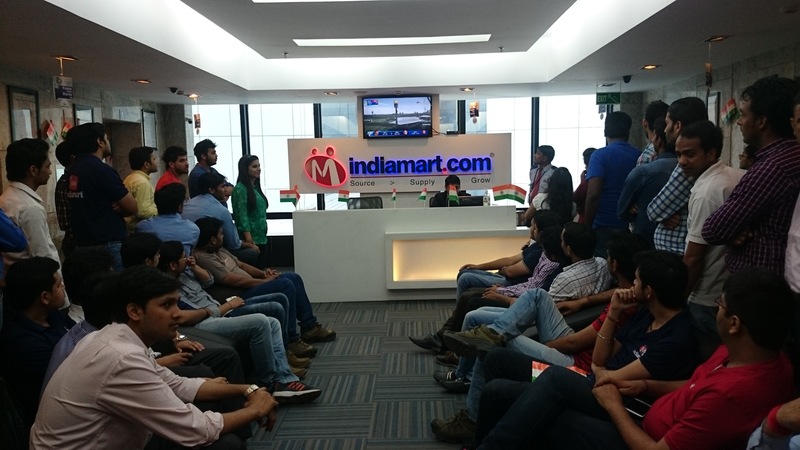 The spirit witnessed at IndiaMART, too calls for a salute.